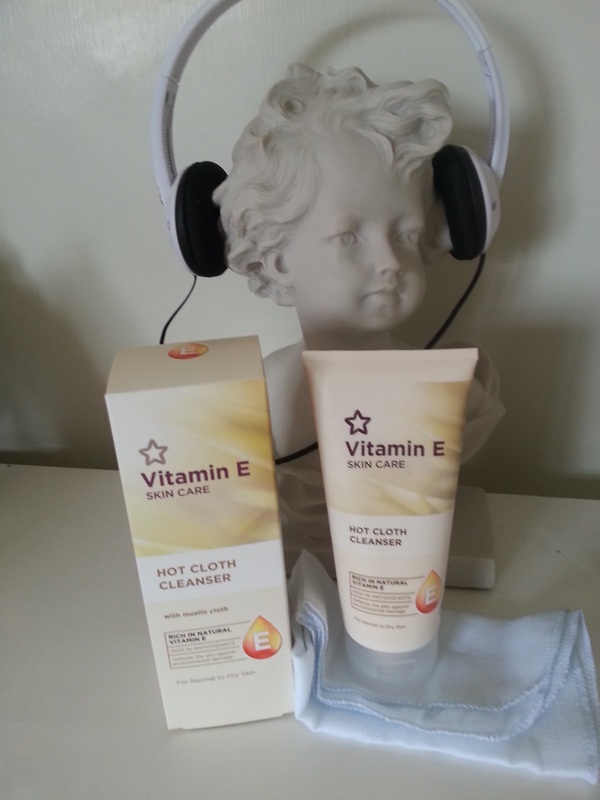 If you have never tried a Hot Cloth Cleanser you really have been missing out, there is nothing like the feeling of freshly washed skin without the dryness or itching of soap, back in my day you were very posh if you used Pears soap ha ha. 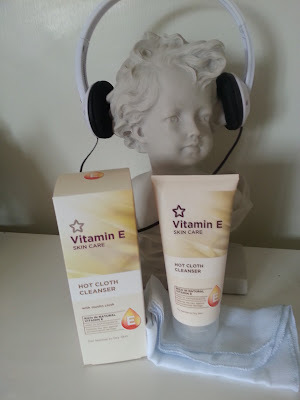 At Christmas I was lucky enough to be given Liz Earle products as a gift, Including the Hot Cloth Cleanser, I loved it but using it twice a day it didn't last too long. 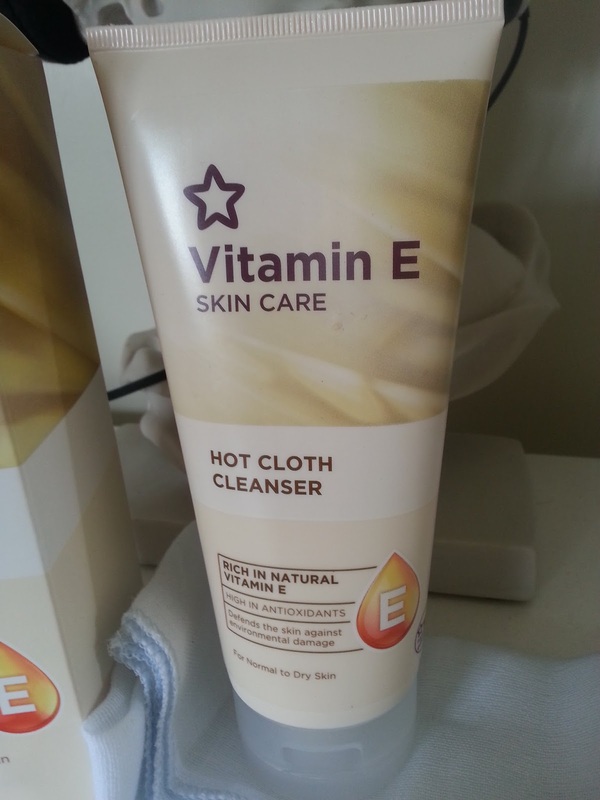 I came across Superdrug Vitamin E Hot Cloth Cleanser purely by accident, I'm so very glad I did, it's gorgeous ! It's thick and creamy and smells lush, and even comes with it's own muslin cloth, I was actually lucky to spot the cloth in the bottom of of the box as I honestly didn't expect one at the bargain price of around £3.00 not sure if this was a half price offer but even at twice the price it's a bargain ! Being a typical woman and being totally blind without reading glasses I failed to read the instructions while in the bathroom :)...... you know you have done the same ! Anyway, you are instructed to avoid the delicate eye area.......oh no, not me ! 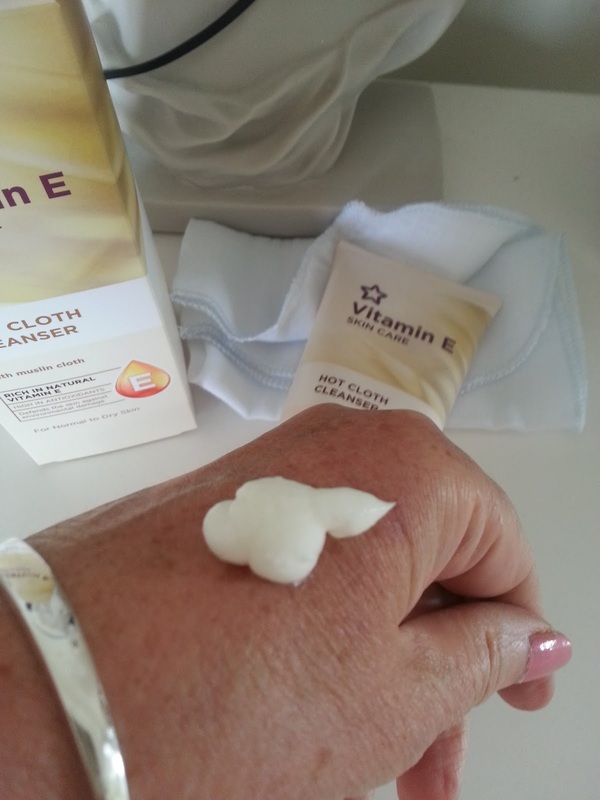 It was brilliant at removing eye make up without any ill effects, please note this is not recommended by Superdrug. 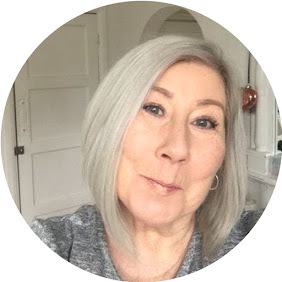 This product is ab fab, it left my ( mature ) skin feeling clean, fresh, not tight, no itching, and so moisturised it would be easy to forget moisturiser on non make up days. I think sometimes it's easy to overlook own brands thinking they can never be as good as the expensive brands but so confident are Superdrug in their own brands they offer 100% returns policy should you not be happy.......who knew? I am no beauty expert but this really is one to try, it is definitely staying in my bathroom.